Ronnie Italiano grew up in East Rutherford, NJ during the 1950's and music became a big part of his life but not just any music. He gravitated to listening to DJ's like Dr. Jive and Alan Freed who were playing authentic Black R&B, unlike some of the more pop stations featuring cover versions by white artists. He developed a love of Rhythm and Blues , especially the vocal groups who he felt were the "Underdogs" in the music world. Ronnie's dream was to make a living from the music and help to promote interest in R&B. His dream came true in 1972 when he purchased Clifton records located in Clifton, NJ. 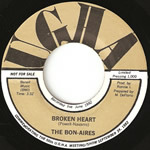 The store specialized in vintage R&B and catered to the knowledgeable record collector. Over the years vinyl has given up it's dominant role, replaced by CDs but Ronnie still caters to the collector's looking for those hard to find original 45RPM records. Ronnie also spent 23 years as a DJ on WHBI (Newark, NJ) and WNYE (NYC) promoting R&B music. One of the most popular events on his shows was the UGHA Top 500 survey. The first UGHA (The UGHA was Founded by Stan R. Krause and Ronnie I in 1976) meeting show was held on December 3, 1976 at the American Legion Hall in East Rutherford, NJ. By February 1977, the meetings were moved around the corner to the now "mythical" Mercury Club for the next six meeting shows. Due to the continuous growth of the organization, the meetings were moved once again to St Joseph's Church Auditorium in East Rutherford. This would be home to UGHA for the next two years. However, growing pains prompted another move, this time to a banquet hall named Scheutzen Park which is located in North Bergen, NJ. The first meeting held in Scheutzen Park was on May 31st, 1980 and continued until 2003 where shows alternate between St. Jospeh's Church in East Rutherford, NJ and the Lodi Boys and Girls Club in Lodi, NJ. 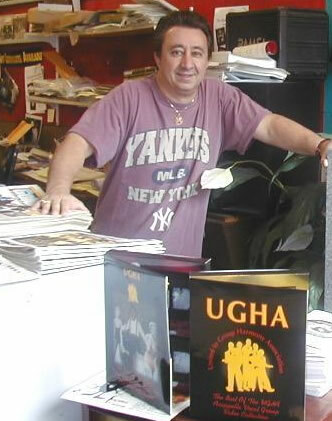 UGHA existed for 32 years and achieved a reputation unequaled in it's many accomplishments to date. The foremost being the preservation of our beloved music and the continuing efforts to pay tribute to the pioneer R&B artists all but forgotten by the rest of the world. responsible for the revival of groups like the Solitaires, Teenagers, Cadillac's, Lillian Leach and the Mellows, Moonglows, Nutmegs, Chantels and many, many more over the years. Over 1000 groups have graced the UGHA stage. There are too many UGHA highlights to cover adequately within this space but there are several that must be noted on this page. Perhaps the most significant occurred at the second annual UGHA Hall of Fame on March 9, 1992. Rudy West was reunited with the other original Five Keys, as they were inducted into the Hall of Fame. Rudy left the group in the late 1950's and has been performing with a different set of backup singers all these years. 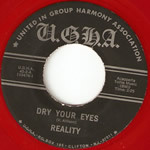 Rudy, along with Maryland Pierce, Ripley Ingram, Bernie West and Dickie Smith performed "Close Your Eyes" that night and brought the house to it's feet accompanied with a thunderous ovation. That would be the last time this legendary group would perform with the original lineup. Ripley Ingram and Rudy West have since passed away. Another milestone in UGHA achievement has to be the induction of the Golden Gate Quartet at the fourth annual Hall of Fame ceremony in 1994. The Golden Gate left the shore's of America in the early 1950's and found fame and fortune in Europe. They were based in Paris, France but performed throughout the world, except for America. It seems our musical tastes change all too quickly and as a consequence talented performers here either leave the business or leave America. Upon hearing that the Golden Gate Quartet were coming back to America, the Smithsonian Institute invited them to attend a ceremony in Washington, DC. The Gates declined that invitation because they felt it would detract from the real reason they came back to America which was to be honored by UGHA. Orlandus Wilson, spokesman for the 'Gate made note that UGHA was the only organization in over 40 years that remembered the Golden Gate Quartet. They in turn honored UGHA by performing at a meeting show the evening before the Hall of Fame. It was easy to see why they still play before sold out concerts around the world. UGHA also played a prominent role in a documentary film produced by National Geographics and aired on national television. The film, "Yesterdays Memories", was written, directed and filmed by Tom Spain. It focused on several 1950's vocal groups that attended Morris High School in New York City's Morrisania" section of the Bronx. The film is a bittersweet look at how these youngsters shot to fame but never attained the fortune they were promised. 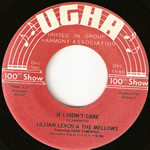 The final segment of the film features a Special concert at UGHA featuring the Mellows, Chords, Wrens and Crickets who were the principal groups in the film. These were just a few of the groups that were given another chance to perform largely through the efforts of UGHA. UGHA is also a "family" of individuals who share a love of the music and show their support by attending the many wonderful events held throughout the year. It is also evident that many close and lasting friendships have taken place over the years which adds to the "family" atmosphere at UGHA shows. Many performers are also UGHA members and it's very common to see them at the shows even when they are not performing. Paul Simon is a member and has attended UGHA concerts. Willie Winfield of the Harptones is the official UGHA "Ambassador of Goodwill" and visits the shows quite often. Sandy ... I would appreciate your contacting me. Al Heitzer at heitz18@gmail.com or 212 242-0774.